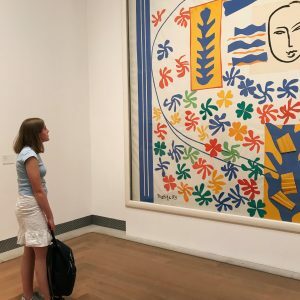 After writing the ethical denim edit and then discovering that there were so many more ethical denim brands that I loved both online and offline I thought that this post may be a little futile. It may be that I’ll go back and edit the post and keep adding brands or that I end up making a page on my blog for ethical brands (when I figure out how to do this). 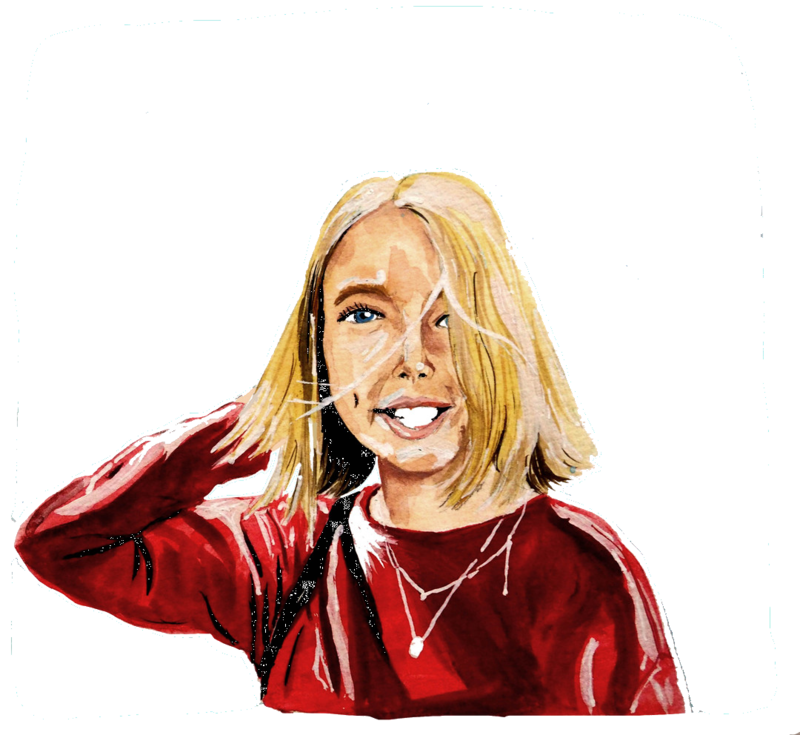 But I actually love writing these posts because they shine a light on some of my favourite brands and probably give more in-depth reasoning for my reasons, plus they’re more than fun to edit. When people ask what ethical shoes are the best, I will immediately answer as ‘Veja‘. 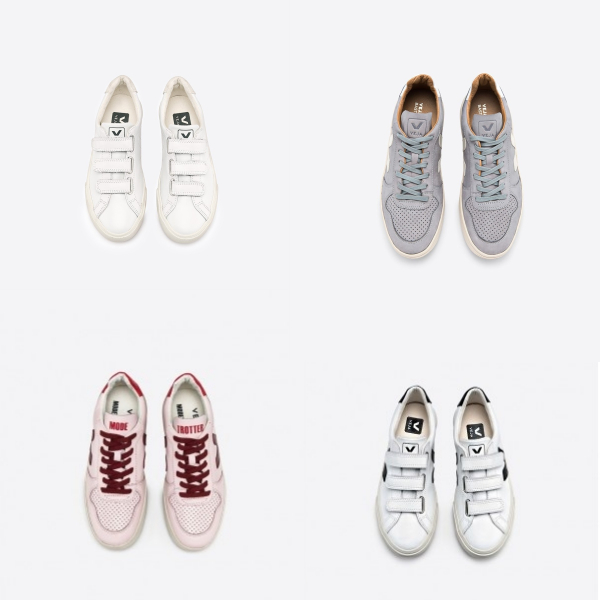 The French trainer brand has cultivated an image that is sustainable, cool and also affordable. 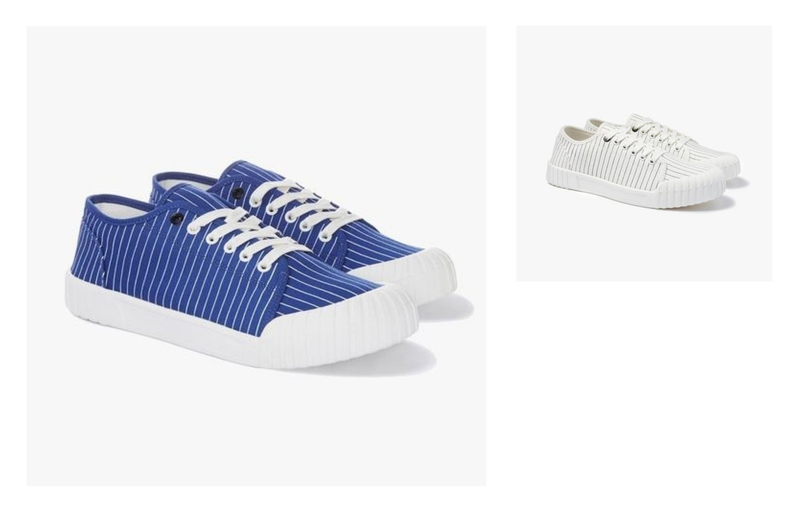 When compared to its fast-fashion counterparts like Adidas the shoes are around £20 more expensive which, when you’re thinking about how they will wear and their impact on the environment, it’s a small investment. After treating myself to a pair for my birthday last year I have got so much wear out of them so far, they’ve even managed a whole days of walking in both Stockholm and Paris which highlights just how sturdy they are. I really don’t know how I came about finding Good News London but it is good news that I did (couldn’t get away with not putting at least one pun in here). They’re a London borne brand that focus on an organic approach and clean styling. Their corduroy shoes were instantly likeable but it is their striped baseball shoes that caught my eye. I saw them on The Daily Edit’s Instagram and am still admiring them from afar. It’s good news if you’re vegan as well because the shoes are both cotton and made from natural rubber, they’re also unisex so if your other half wanted a pair you could go matching? Not exclusively an ethical trainer brand but one still deserved of a mention is Good Guys Don’t Wear Leather. Their whole range of shoes are gorgeous and again they’re all made from vegan leather or suede. 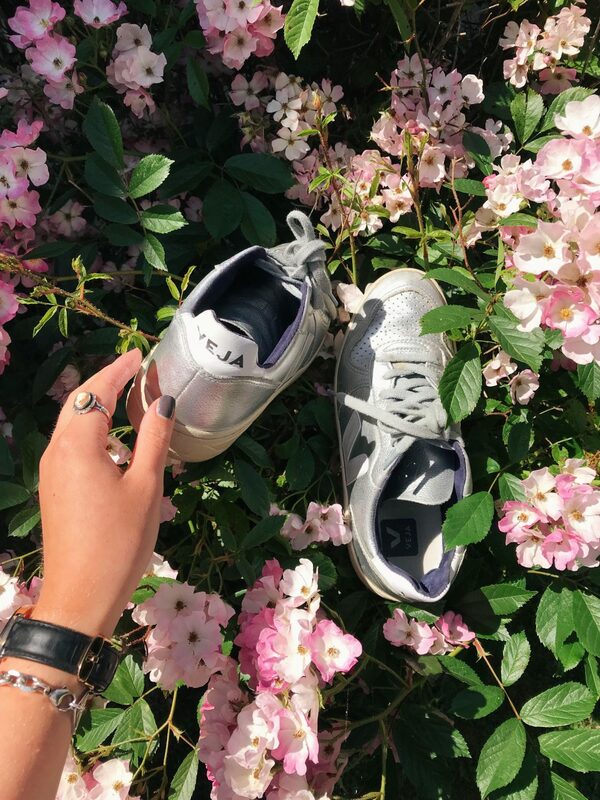 One of their pairs of trainers is similar to a Puma pair that I’ve spotted and if that doesn’t make you tempted, Emma Watson has been seen to wear them so they’re high up on the fashionista stakes. 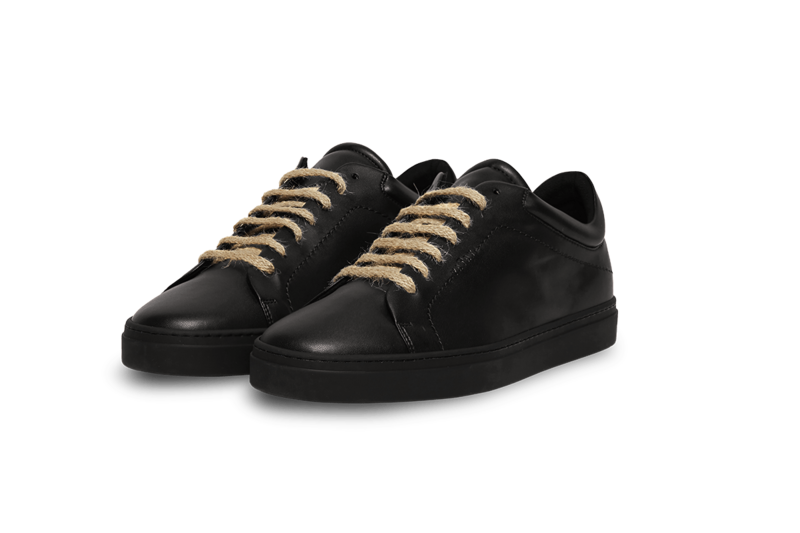 The shoes are designed in Paris and made in Portugal using materials such as microfiber, canvas and also natural rubber. Despite their trainers stealing my attention I’m actually more in love with their sandals and also their backpack collaboration with Tokyo bags, but their trainers are still pretty great as well. Recently I’ve spotted a new ethical trainer brand called Yatay (I keep wanting you write yayay as that is my expression that I feel towards the brand). The shoes are made in Italy the toecaps and buttresses are made with organic cotton that is grown using organic means avoiding chemical fertilizers, for the lining, they use a microfiber made of recycled polyester and water-borne polyurethane and if that wasn’t revolutionary enough the sole of the shoe is bio-based polyurethane featuring two green bioplastic cores, obtained from industrial waste. The list of the innovations about this trainer could go on and I definitely think that it is making eco-friendly shoes more accessible. They also sell a pair in dark green and seeing as there has been a resurgence in my love for green that has been cultivating since January, I think they are very cool indeed (although my personal favourite are the all black). Looking for a pair of converse but you want them to be ethical? Look no further than Ethletic. They’re vegan, the same price as converse and have a wealth of different styles that it’s hard to pick which one are the nicest. 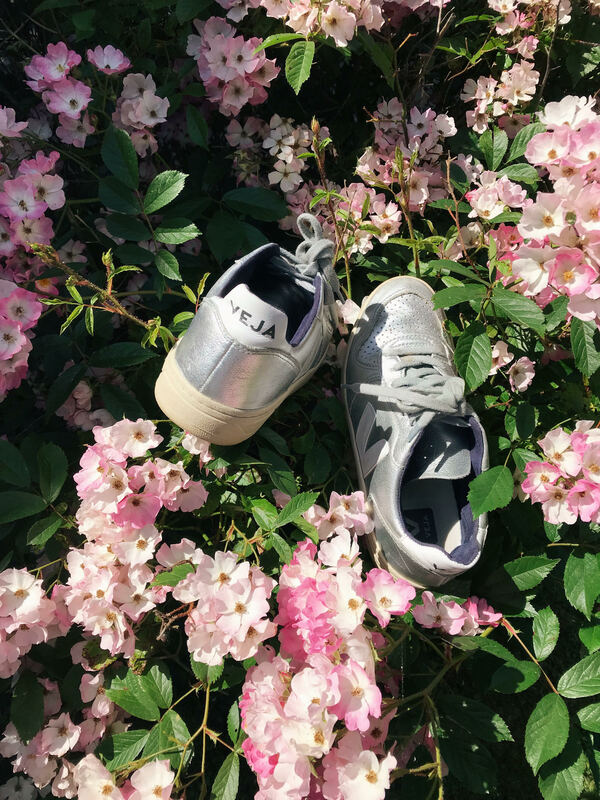 Before Veja they were probably the first ethical shoe that I was informed about and I’m actually quite surprised that I haven’t bought a pair yet. Again, Ethletic use natural rubber for their trainers but when the brand was developed in 2004 it was a world first. This shows just how far sustainable methods have come over the past 14 years and the range of different trainers and brands is credit to that. Ethletic are like the founding fathers of the ethical trainer. They’re concerned with the ‘continuous improvement of quality, the training of employees, the stability of fair and sustainable supply chains, above all, the contact with people‘ and I think that is what marks the brand out as being so innovative and fresh. The CEO Marc Solterbeck stated that: ‘The people who work for Ethletic are not a figure on the balance sheet or a cost to us. We met these people. 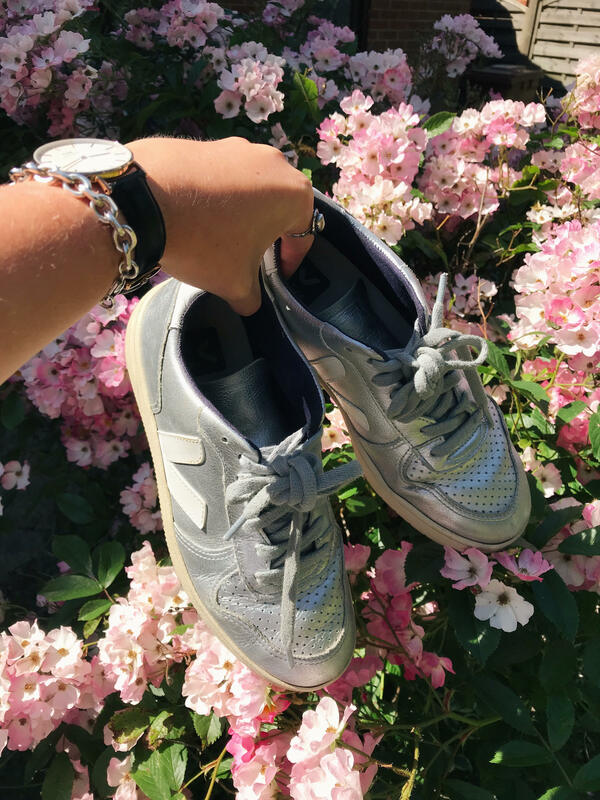 We appreciate her and her skills, commitment and history.‘ It is this connection with the people that make the shoes that highlight just how important the work that Ethletic do and their commitment to ethical practices is, the length at which they’ve been manufacturing trainers is testament to that. It’s getting harder and harder to stop writing posts that go over 1000 words and perhaps that is why it takes me so long to get round and write them?? After mocks had finished I thought I could get down like a machine and churn out some boss ethical and sustainable content for you all but alas that has not happened. There’s DoFe this weekend though and after I am going to try and make that the case, even if it does mean sitting in the garden writing posts while my laptop slowly over heats… there are worse places to write new content right?